Published in the Dover Express, 27 February, 1981. The scavenging depot was built from the designs of Mr. Stilgoe, the Borough Engineer, in 1897, when the Corporation determined to do the scavenging with their own staff, the buildings consisting of stables for 23 horses, sheds for 25 carts and for two traction engines and a horsekeeper’s cottage, the whole occupying an area of 1 rood 28 poles. The land, building and equipment of this establishment, including the horses and carts, but not the traction engines, cost a little over £7,000. Beyond the railway bridge is the real Tower Hamlets; and that portion of it which came into existence between 1846 and 1896 forms a fairly regular square, measuring about a thousand feet each way, intersected, from east to west, by the following streets: Tower Hill, North Road, Tower Street, Dickson Road, Tower Hamlets Street, Ethelbert Road, Odo Road and Edred Road; and from north to south by South Street, West Street, Widred Road and East Street, the latter being a slanting thoroughfare from the bridge to the heart of Tower Hamlets, where East Street, West Street, Tower Hamlets Street, Ethelbert Road and Widred Road meet. The surface between Tower Street and Ethelbert Road is fairly level, with a gentle slope towards the railway; but on the north and south sides the land rises steeply towards the hills, Odo Road, Edred Road and Widred Road on the north, and Tower Hill on the south, being considerably elevated. The ancient cart road which led up to West Hough am, along Whinless Down, was on the line of Ethelbert Road and South Road. Westward of the district above described, the ground rises and the valley becomes shallower, forming an area rather larger than that below South Road; and this, until 1896, was entirely devoted to brickfields and allotment gardens. The brickfield is now closed, but a small portion of the allotments on the southern slope are still profitably occupied. On the northern slope, and up the centre of the valley, is an extension of Tower Hamlets, consisting of Noah’s Ark Road (which, from Ethelbert Road and South Road, follows the ancient track to Whinless Down), Douglas Road., Lowther Road and Wyndham Road. These all run from east to west. At the top of Wyndham Road there is a cross road, beyond which there is a further extension up the valley called Devonshire Road. Below South Road, the older part of Tower Hamlets. when this book was written in 1900, contained about 600 houses, and in the extension beyond South Road about 250, making a total of 850 houses, with about 5,000 inhabitants. In following, chronologically, the steps of the builders, the Tower calls for first notice. It is a strong, circular building, occupying the crest of Priory Hill, a little west of the railway tunnel, and being no longer required for its original use, has long been inhabited as a dwelling house. Just below it, westward, is a spacious chalkpit, which has been the centre of many Tower Hamlets industries. In the early years of this century there was located there the Dover Sanitary Steam Laundry, established in 1886. Previously on this site had been Messrs. Finnis and Son’s saw-mills; earlier still, Mr. Philip Stiff’s cement and lime works, and, originally, it was attached to the earliest brickfield in Charlton Bottom. The site is now occupied by builders’ merchants Castle Harris who took over from Castle Concrete. The lime-burning industry continued until about the turn of the century and there was a limekiln on a higher level, just beyond the chalk pit, until about 70 years ago. Adjoining the site is Tower Street where, on the south side, are Tower Hamlets’ oldest houses. Near the top of Tower Street, on the north side, is a Wesleyan mission room. It was built as Tower Hamlets Wesleyan chapel in the year 1850, Mr Steriker Finnis giving the land on which it stands. At that time only a small part of the surrounding land was built upon, and that chapel was the first provision made for the moral improvement of the inhabitants. Later, a small room, called St. Bartholomew’s mission house was built in Black Horse Lane. It served both for meetings and as a girls’ school, and after it ceased to be used St. Bartholomew’s iron mission church was built in Tower Street. 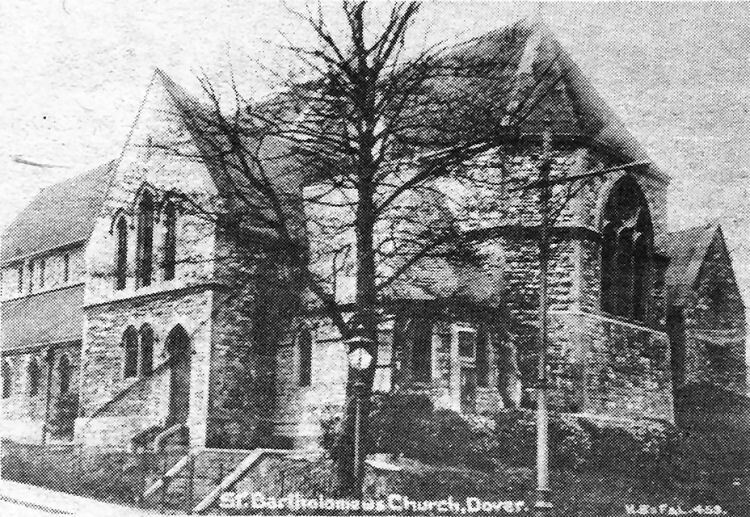 It was opened by the Bishop of Dover in 1873; the Rev. Walker Flower, M.A. (late Canon) took the position of curate-in-charge, holding it till 1877, when he handed it over to the Rev. E. T. Churton, M.A. (afterwards Bishop of Nassau), who continued the services at the iron church until the new church of St. Bartholomew was opened in 1878. Afterwards the iron church was called St. Michael’s, and continued to be used as a mission church for Tower Hamlets, until a permanent parochial building was erected near the same spot. That building was later amalgamated with the girls’ elementary school adjoining, and a new mission hall, at a cost of about £1,200, was built in 1905, in Curzon Road, to afford facilities for Church work in this district. A boys’ school was built in Widred Road in 1881, and enlarged in 1887; the boys’ and girls’ schools having accommodation for 650 children. When school building developments made the Widred Road school superfluous it. became, in recent years, a printing works. Reverting to the steps of the early builders—most of the houses on the south side of Tower Street were erected about the same time as the Wesleyan chapel. From 1850 to 1860 the builder was busy, and all the streets from Tower Hill across to Tower Hamlets Street took shape, and were filled up in 1866. In 1862 the Dover Workmen's Dwellings Improvement Society (a building society which originated at the Dover Working Man’s Institute) made an effort to carry out its objects in South Road and built eight cottages on the east side between Tower Street and Tower Hamlets Street. Tower Hill was built at different dates and by various builders, some of whom, prodigal in ornamentation, embellished the doorways by placing well-designed heads above them. 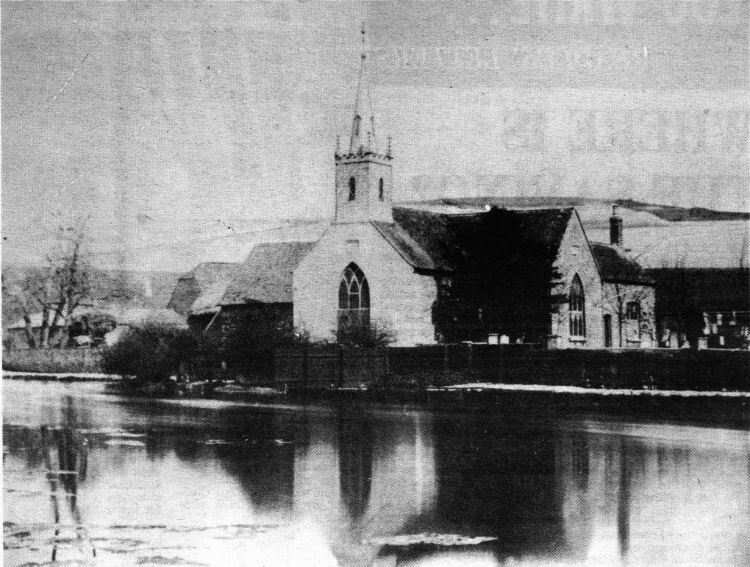 The little riverside church of Charlton Green, which was demolished In 1893 after it was made redundant by the building of a bigger church nearby to cater for the expanding populated area around the Green and extending up to London Road. The picture, which is at least 100 years old, shows open fields beyond the church and Barton Farm, on the left, which straddled what is now Beaconsfield Avenue. Off London Road St. Bartholomew's Church (pictured above) opened in 1878, was built to serve the rapidly expanding Tower Hamlets estate. Dwindling congregations however, have seen a number of churches made redundant in recent years and St. Bartholomew’s was one of them.